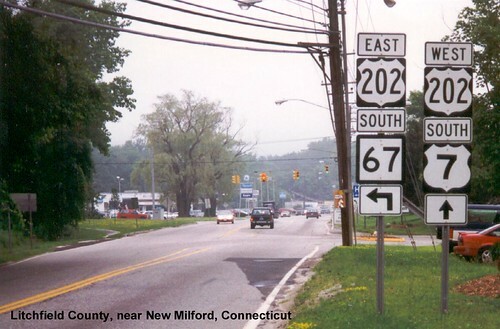 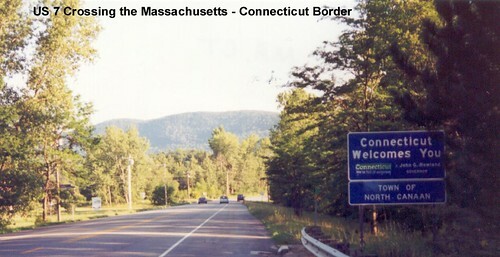 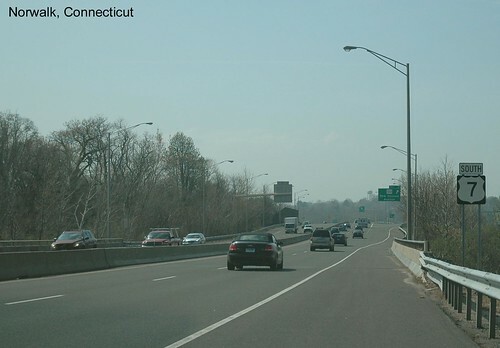 Connecticut welcome sign on US 7 after crossing the border from Massachusetts. 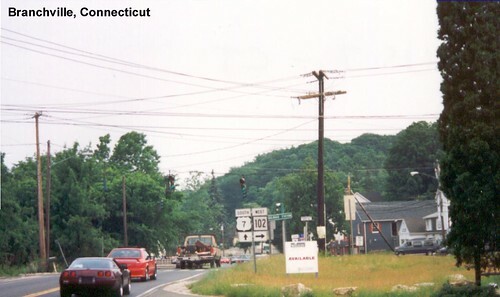 US 7 crosses US 44 in Canaan. 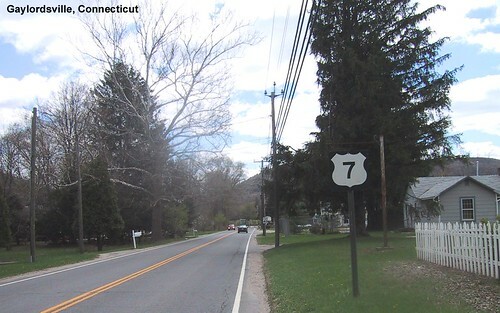 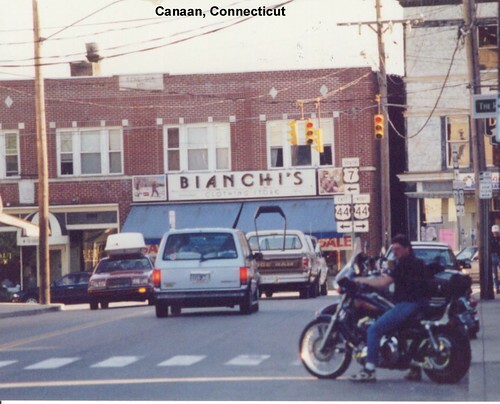 US 7 is a narrow two-lane road through most of northwestern Connecticut. 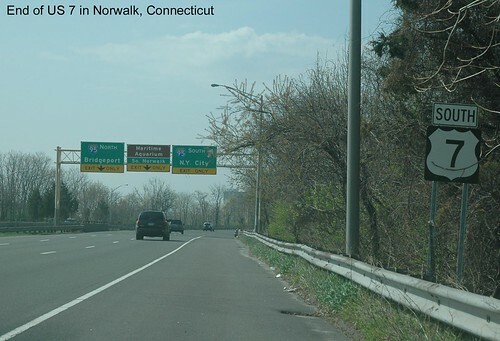 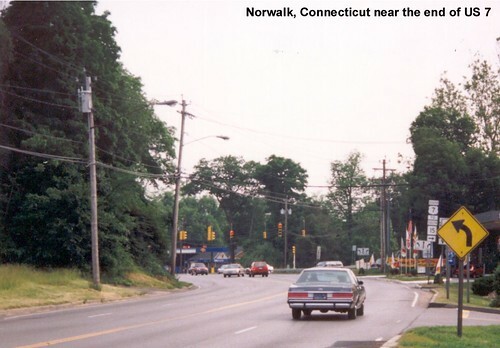 US 7 is a freeway for its last few miles in Norwalk. 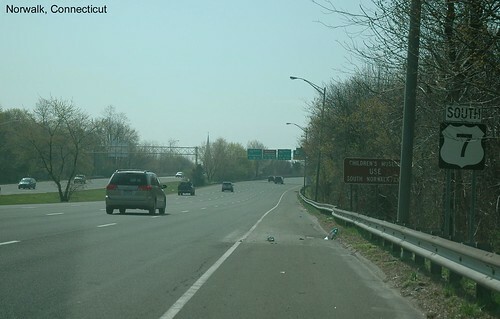 There's no End sign, but this is the southern end of US 7.